Sling a question his way regarding Donald Trump, IMO, cyber security, scrubbers, unpredictable market cycles, or even understanding British stand-up comedy, and he responds in the same way: A pause, a half smile, and a measured answer that seems to make perfect sense. 30 minutes in his company and you’re left with the impression that this is a man you’d want on your ship in a storm. Which, given his role within the industry, is about as apt as apt can get. Ørbeck-Nilssen is the CEO of DNV GL Maritime. The Hamburg-headquartered operation is the world’s leading shipping classification society, with a presence in more than 100 countries, classing over 11,500 vessels in the global fleet. The outgoing Chair of the International Association of Classification Societies (IACS), the Norwegian native (educated in Edinburgh, hence the appreciation of British humour) speaks with a quiet authority about the industry as a whole. An industry that, he believes, requires “calm heads”, now more than ever. 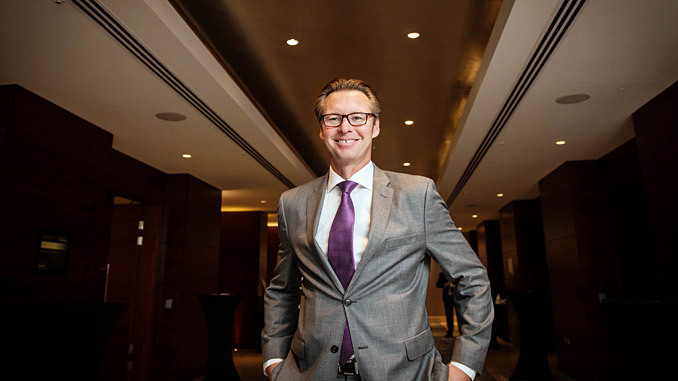 Ørbeck-Nilssen sees classification societies as independent third parties, or “helping hands”, that exist to ensure industry meets regulations and operates with the safety and quality that all stakeholders demand of it. In a changing world that assistance is more important than ever, helping customers adapt, adopt new technology, and position themselves to seize opportunity and mitigate risk. And, as the coffee cups are emptied, it becomes clear that digitalisation is increasingly important when it comes to charting that route into the future. DNV GL is an old hand when it comes to new technology. The society was the first to implement electronic class and statutory certificates for the entire fleet serving all flags in 2018 (with pilot vessels sailing with e-certificates since 2016), the first to publish a class programme for the approval of manufacturers for additive manufacturing in 2018 (having undertaken research and development work since 2014) and in the same year released a comprehensive guide for autonomous and remotely operated ships (as it looks to establish a robust safety culture ahead of implementation)… to name just a few developments. 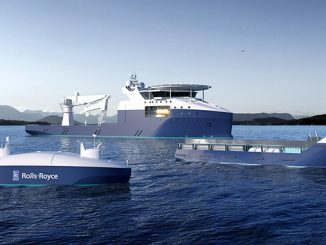 Its presence in leading maritime and innovation clusters – such as Norway, Hamburg, Singapore and Shanghai – added to its involvement in an array of pilot projects, for example in autonomous shipping, helps it stay at the vanguard of progress. An appreciation of the value of data, or more specifically sharing data, is, he says, absolutely imperative to the success of that evolution. “So, a shipping company that collects data but stores it in silos is wasting opportunity. It should be shared throughout organisations, and sometimes throughout the industry, so we can learn from it; enhancing emission performance, increasing efficiency, improving safety. And that, in short, is why we created Veracity,” he adds. 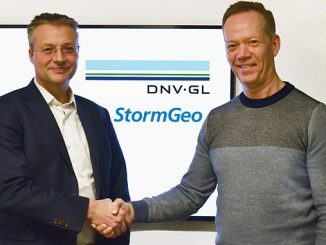 DNV GL launched Veracity in 2017. An open, but secure, digital industry platform, Veracity provides an ecosystem for sharing data, enabling collaboration and, as Ørbeck-Nilssen stresses, “extracting value”. DNV GL services such as Smart Survey Booking or DATE (Direct Access to Technical Experts) can be accessed through Veracity, but so can services from independent third parties. Data can be shared in closed networks, or industry wide to help promote understanding, improve environmental standards or enhance safety. Shipowners can share data with manufacturers or suppliers to improve equipment performance, or with regulators to detail premium quality records, hence demonstrating lesser need for inspections. KPI results can be assessed, charterers can research ships, routes can be optimised across fleets… the possibilities are as open as the ocean’s horizon. In a very concrete example, the DNV GL Maritime chief points out that Veracity is now used by clients for the fully digitised, automated collection and verification of data for the EU MRV scheme – minimising workload and eradicating potential for human error. That said, opportunity and threat often go hand in hand. With increasing reliance on digital systems and interconnectivity, especially with regard to automation and autonomy, there’s growing risk potential, particularly in terms of cyber security. Again, according to Ørbeck-Nilssen, this is where class can step in. DNV GL released its first ‘Cyber Secure’ class notations in 2018 and is focused on demystifying the subject, providing practical advice on what is needed – on ships and shore – to combat threat and protect integrity. This ranges from classroom and e-learning modules for crew members, to penetration testing within organisations aimed at mapping awareness levels. Interestingly, this tailoring extends to letting “certified ethical hackers” loose on vessel systems to find potential loopholes, allowing owners (especially in the cruise segment apparently) to address them before someone else does. Ørbeck-Nilssen is a firm believer in people power – in talent, in experience and in doing business face to face. 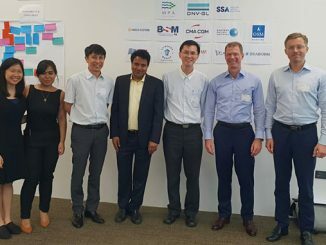 This is why he values DNV GL’s presence in key shipping clusters, actively encourages collaboration, and is a firm supporter of Nor-Shipping. Which is something not everyone set to host a party for 2,500 people might be expected to say. But then again, when you can stay calm navigating tectonic industry shifts, holding a big BBQ probably doesn’t seem that stressful.